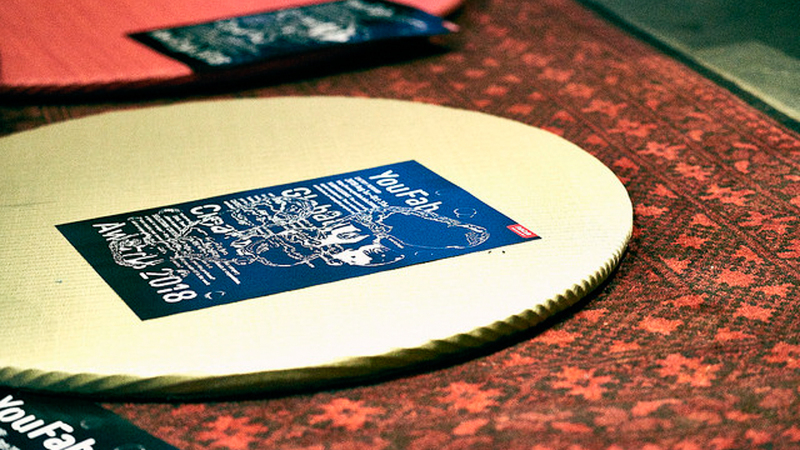 The YouFab Global Creative Awards 2018 (hereafter, YouFab) began back in 2012 and are now in their 7th year. On September 14th, 2018, we held a special kickoff event to get things going. 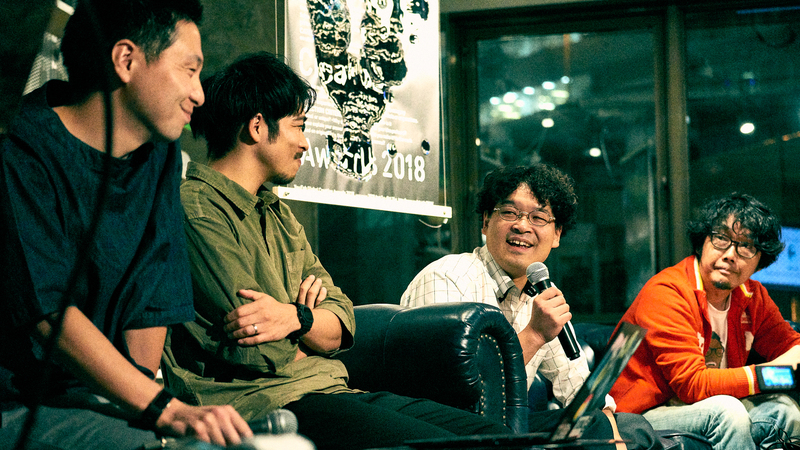 This year on the stage, we had the head of the Judging Committee, Editor Kei Wakabayashi and SFC Social Fabrication Lab representative Hiroya Tanaka. This year’s YouFab theme, “Polémica! !” held an especially deep meaning. The ever advancing Fab is now looking at new questions posed by society. The first talk session provided a chance to discuss the unfolding outlook connecting the past and the future of Fab. 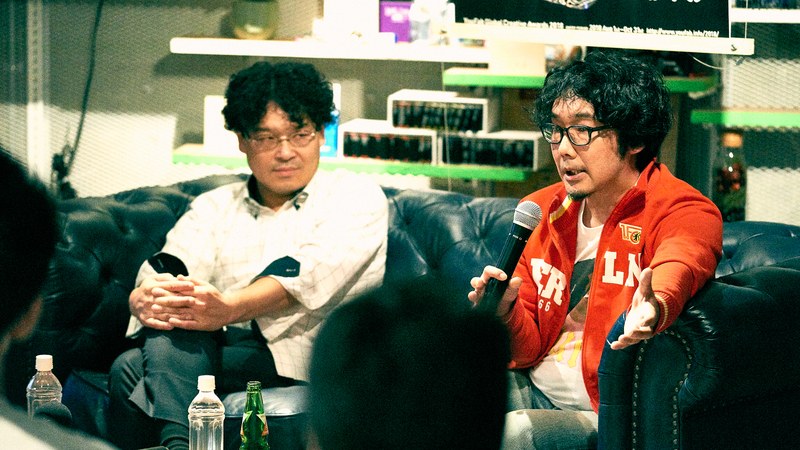 The second talk session featured Shouhei Fujimura and others from the Lion Corporation Innovation Lab. Mr. Fujimura spoke about the background for establishing the special “Lion Award” this year, and also about how the award hopes to capture how businesses and creators “merge” together. 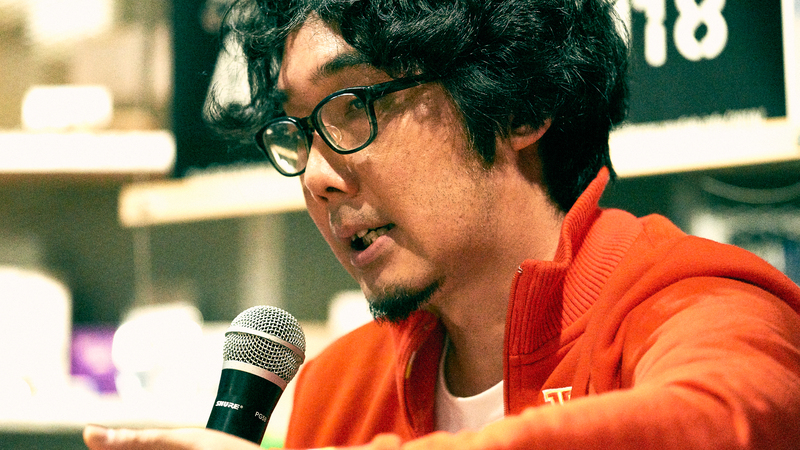 Redefining Fab as a "Tool for Rebelling Against Authority"
This year, as YouFab takes its first step into the next stage of its evolution, we welcome in former “WIRED JAPAN” Chief Editor Mr. Wakabayashi as the new head of the Judging Committee. With this new system as a backdrop, a more provocative title was selected for this year’s YouFab theme. 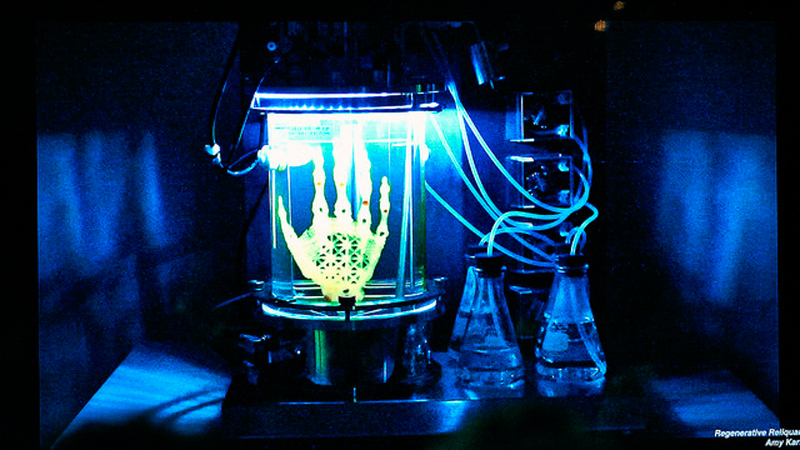 As an example symbolizing that origin, Mr. Tanaka shared an experience he had at FabLab Sendai. 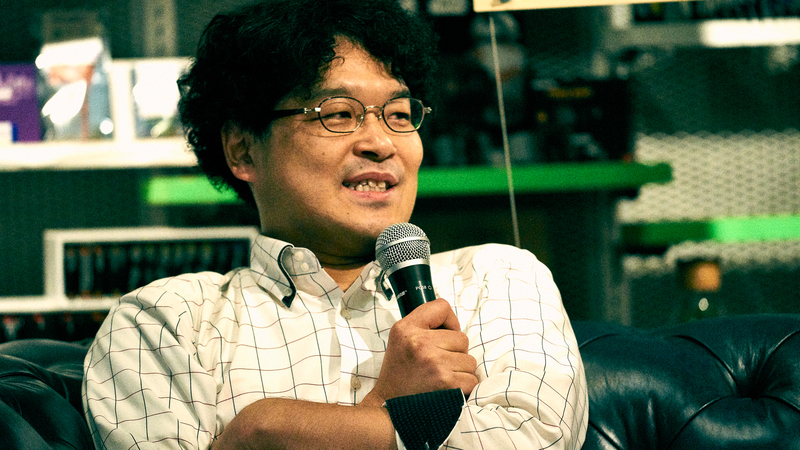 Mr. Tanaka expressed some doubts about the current state of Fab, where digital technology is automatically being taken as the premise. Mr. Wakabayashi followed up on Mr. Tanaka’s question by referring to the book “Community: Seeking Safety in an Insecure World” by sociologist Zygmunt Bauman. 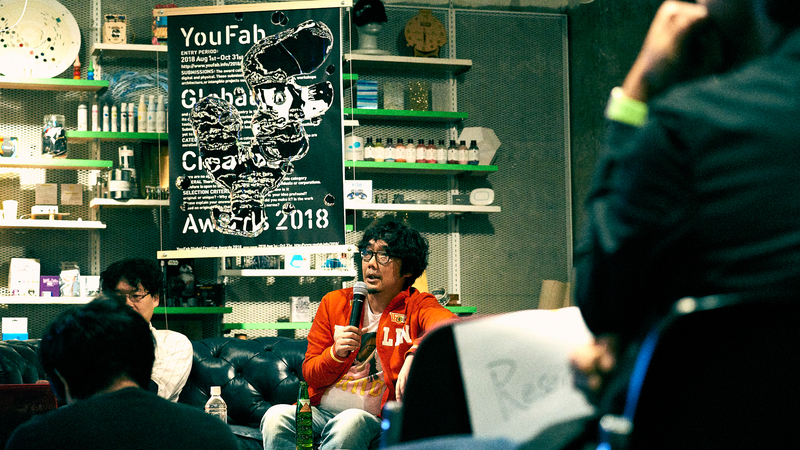 While elucidating on the “maker movement” advocated by Chris Anderson (former Chief Editor of “WIRED” in the US), Mr. Wakabayashi gave a new viewpoint on the future of Fab. On top of that, Mr. Tanaka also referenced “distribution” as an important concept in the redefining of Fab. For the background on this, he spoke about the International Fab Lab Conference & Symposium held in July of this year in France. 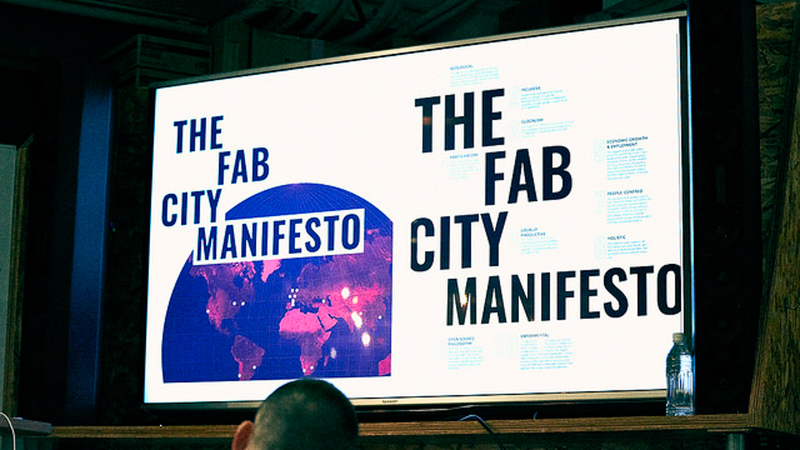 (*) Fab City: Fab Lab has transcended being a place for individuals to make things, and it is now a place for citizens themselves to come up with solutions to problems facing their city. This introduces a new way of thinking about city policy with everybody bringing forth new things and new systems. Similar to how there are enormous costs and vast infrastructure requirements for distribution of physical things, people have been dependent on centralized authority, beginning with their government. 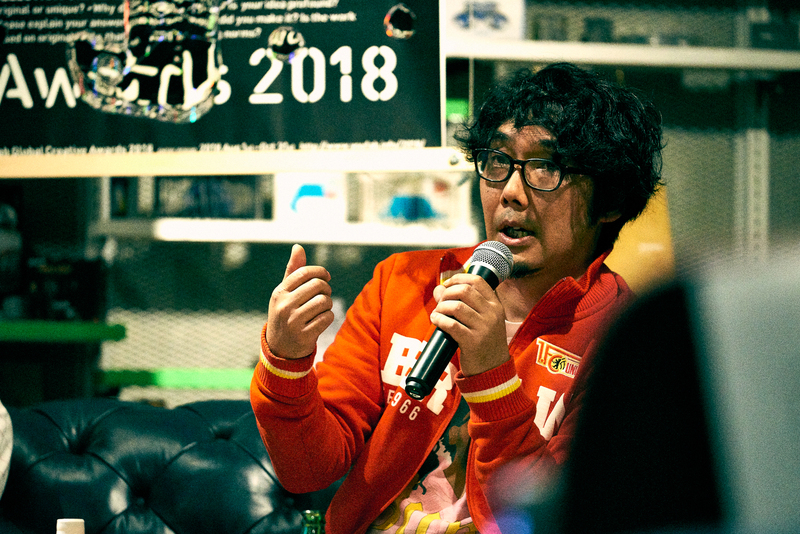 However, Mr. Wakabayashi says that the distribution network of Fab is “taking the place of that.” Mr. Wakabayashi referenced philosopher Ivan Illich, advocating that, “Society should strive for conviviality (independent coexistence)” as follows. 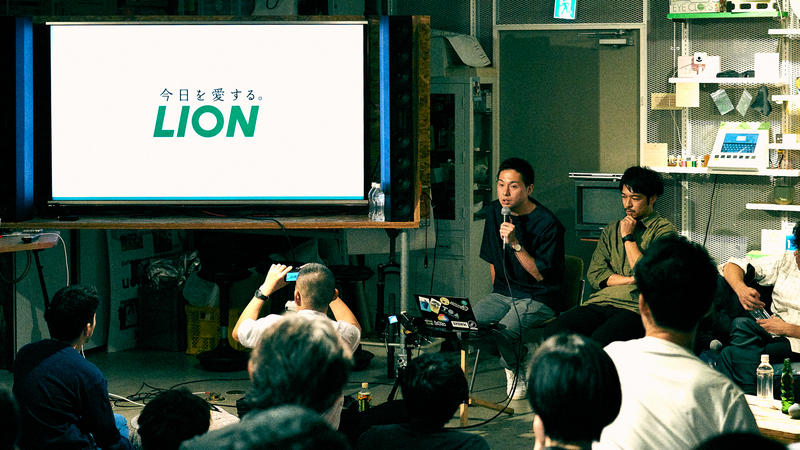 With the passion from the discussion in the first session still heavy in the air, Fujimura Shouhei from the Lion Corporation Innovation Lab took the podium along with Mr. Yanagawa from Loftwork for the second talk session. Currently, we can consider the boundaries of working and living, individuals and organizations, digital and real, becoming more and more blurred. Mr. Fujimura defines a society in which all these things are connected, without boundaries, a “Merge(d)” society. Now, with the outline of the home blurring in the same way as the boundaries between work and life, we need to once again ask questions about the relationships between working people, companies, and consumers. Lion has been operating for over 120 years since it was founded in 1891. During that time, their sense of values regarding families and how people live has changed a lot. Now, it is not a stretch to say that in many cases a “home” is no more than a number of people. In this era, how can we really redefine what a “home” is?